Home / Football / Monday Mailbag: Offensive line, injuries, and an expanded playoff? Monday Mailbag: Offensive line, injuries, and an expanded playoff? Fall camp is right around the corner and Florida State football is finally almost back. Willie Taggart and his staff are planning to host a huge recruiting event, Saturday Night Live, later in July that could give the Seminoles sizable momentum on the trail. The ACC Football Kickoff will start later this week with Cam Akers and Brian Burns representing FSU. The season is so close you can almost smell it. With that being said, let’s hop into this week’s mailbag questions. The offensive line was plagued by the injury bug last season. Jauan Williams and Baveon Johnson both suffered season-ending injuries prior to the first game. Landon Dickerson had ankle surgery in October. Derrick Kelly, Cole Minshew, and Alec Eberle were also banged up for much of the season. One of the key parts of strength and conditioning is injury prevention. FSU and former S&C coach Vic Viloria seemed to be doing a poor job of that over the last few seasons and maybe that’s why Viloria’s in Baton Rouge now. 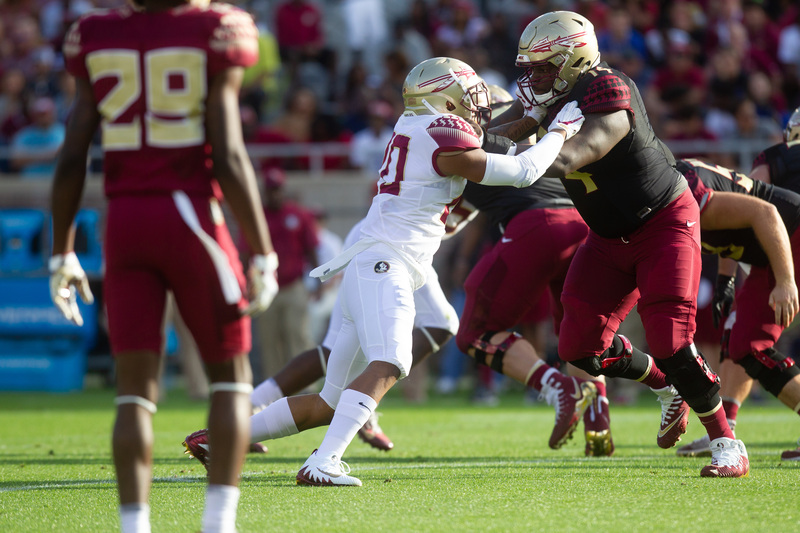 Irele Oderinde has already made a big impact on the `Noles. Players are actually showing results from offseason work and they look like they’re enjoying the new workouts. Some players have professed this is the hardest they’ve ever worked. Though the offensive line was still banged up in the spring, the new strength and conditioning staff has altered what was in place previously to get the best results possible. 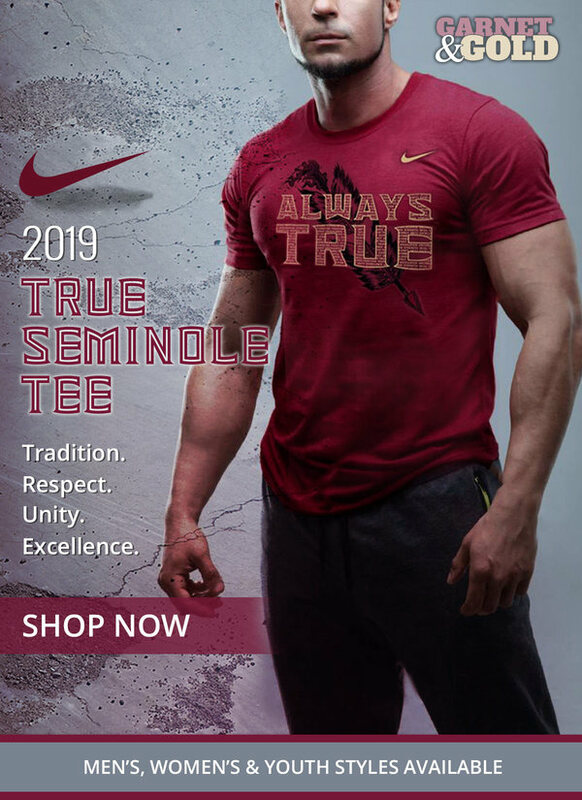 FSU has just 13 scholarship offensive linemen entering the 2018 season which makes the position one of their biggest needs during the 2019 recruiting cycle. However, the `Noles do have some players with ample experience and four of the five spots up front might already be filled. Landon Dickerson, Cole Minshew, Alec Eberle, and Derrick Kelly were all consistently in the starting unit last season. It’s safe to say that Minshew and Dickerson will lock up the guard spots, Eberle at center, and Kelly will man one of the tackle spots. As for the other spot, I really believe Jauan Williams will step up and finally live up to his high ranking when he committed to Florida State. It makes a lot of sense for the NCAA to expand the playoffs. More games means more revenue, right? The addition of an extra four teams would only expand the current playoffs from two games to three which I feel is manageable depending on the adjusted schedule. Someone is always going to feel left out every year (I’m looking at you UCF), but with eight teams you’re minimizing the potential opportunity of leaving a great team out of the playoffs. This type of expansion is exactly what College Football needs.